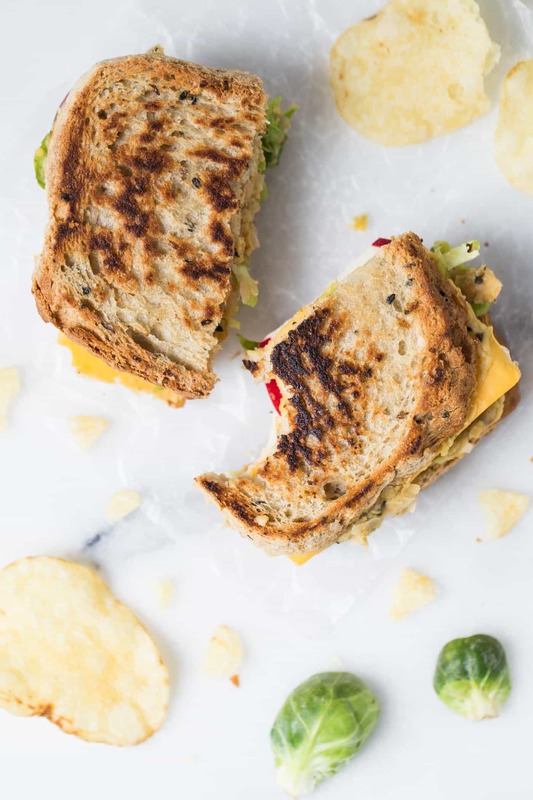 This brussels sprout + hummus grilled cheese sandwich highlights one of my favorite fall vegetables and uses a garlic herb hummus spread in place of mayo. It's protein-packed, healthy and vegan (yep, no cheese despite the name!) and comes together in minutes! I don't really eat sandwiches very often, so when I do I go all out. I like to stuff them with as many ingredients as possible, mash up different flavors, and yet, still make sure that they're healthy and satisfying. Which is precisely what we're doing here. For today's post I'm partnering with my friends at Sabra to help celebrate the launch of their new line of Sabra Spreads. These spreads are Sabra's healthy alternative to mayo. And it's pretty genius if you ask me! They come in three great flavors: Garlic Herb, Honey Mustard and Sea Salt + Cracked Pepper, and they're in a convenient squeeze bottle so it makes sandwich prep a breeze. Just squeeze, spread and done. I promise you won't even miss the mayo. 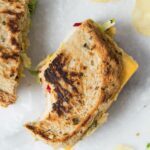 For this hummus grilled cheese we're using the garlic herb spread in two ways: as the base for our sandwich and as the filler for our smashed chickpea + brussels sprout salad. It's the perfect combination of flavors: just a little bit of garlic with faint herbaceous undertones. Plus it adds even more protein and less fat to the sandwich than if you used traditional mayo. We're using just a few simple ingredients to bring the sandwich to life. 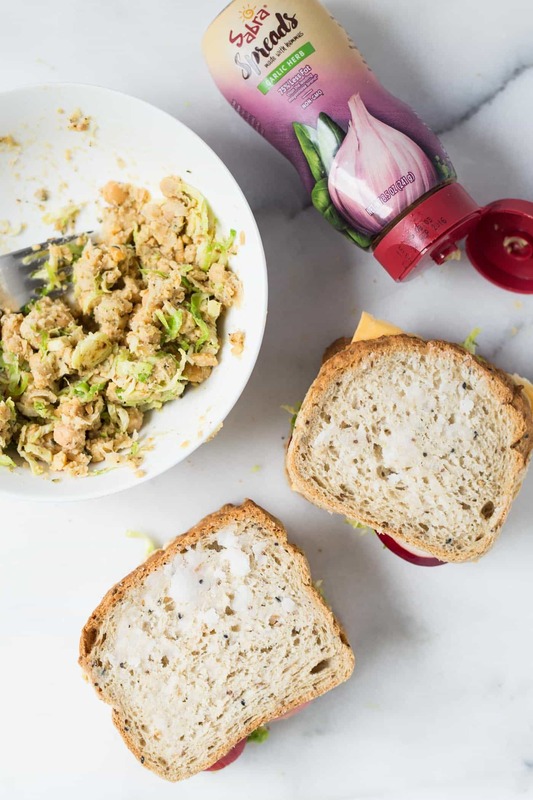 We start with shredded brussels sprouts that get sauteed until soft and then we mix that with our smashed chickpea salad for an absolutely epic sandwich filling. 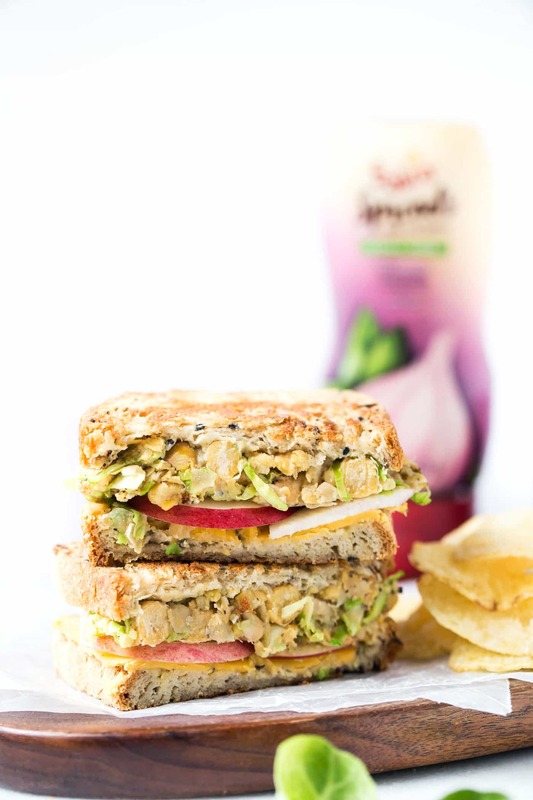 To give the sandwich a bit more texture and flavor, we're topping the chickpea salad with sliced apples and a slice of vegan cheese. The secret to getting the bread crispy and golden brown? Coconut oil! Rather than using butter (or even a vegan butter substitute), we're spreading the outside of this sandwich with a thin layer of coconut oil. It helps get the bread nice and crunchy and golden brown! And don't worry, it doesn't taste like coconut. Eat it straight from the container for a healthy snack! And so my friends, can we agree that we're putting the classic grilled cheese sandwich to shame with this beauty? 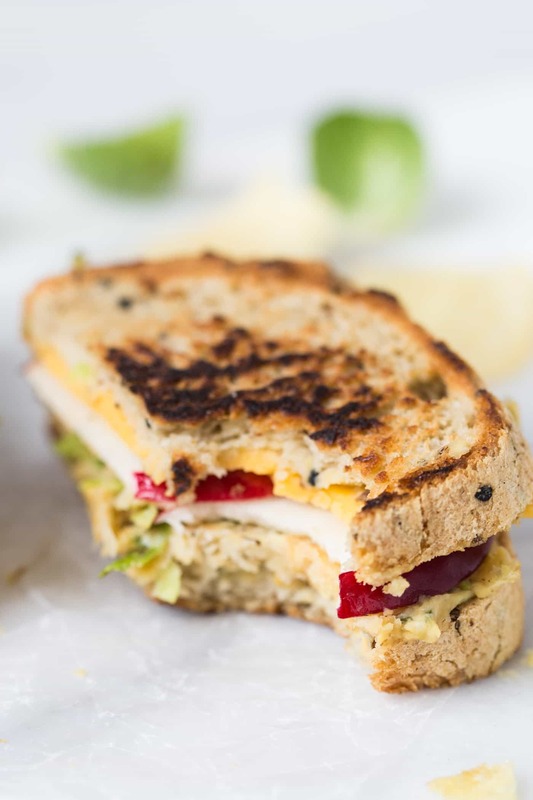 It just goes to show you don't need dairy, gluten or meat to make an epic grilled cheese. All the plants and we're happy campers over here! I'm telling you, these brussels sprouts really got me into the fall cooking mood! I have lots of tasty fall dishes up my sleeve, but I'd love to hear from you if you have any specific recipes or ingredients you'd like to see more of on the blog. If so, let me now in the comments below and I'll do my best to make it happen! To learn more about the new Sabra Spreads and to see if they're in a store near you, visit sabra.com/hummus! Heat the oil over medium heat and add the brussels sprouts. Saute until tender, about 3 - 4 minutes. 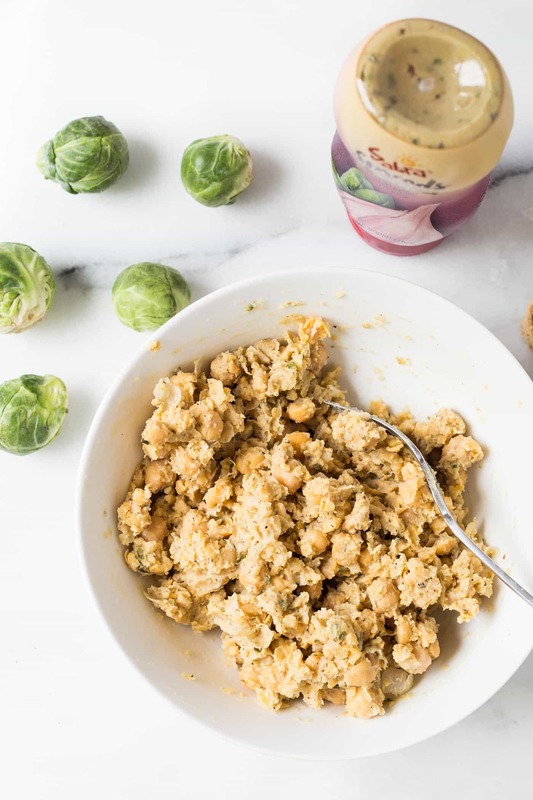 While the brussels sprouts are cooling, add the chickpeas to a large bowl along with 1/3 cup of Garlic Herb Sabra Spreads (or hummus of choice). Mash this mixture with a fork until most of the chickpeas are broken down, but some large chunks remain. Add salt, pepper and garlic powder and mix to combine. Add the brussels sprouts into the chickpea salad and mix again until combined. Spread 2 teaspoon of coconut oil onto the outer sides of the bread. Place bread coconut oil side down and build the sandwiches. Place 1 - 2 tablespoons of the Sabra Spread onto each slice of bread and smooth with a knife. 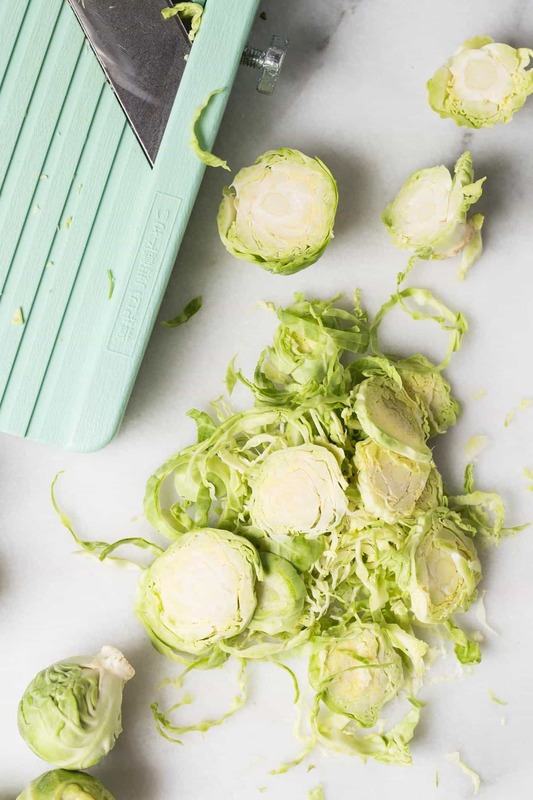 Top on side with a large scoop of chickpea-brussels mixture and flatten it down with a fork. Top with sliced apple, vegan cheese and the other slice of bread. Cook sandwiches over medium-low heat until golden brown and crispy, about 2 - 3 minutes. Flip and cook again until crispy. Slice sandwiches in half and enjoy! ** this post was sponsored by my friends at Sabra. Thank you for supporting the companies that I believe in and help make SQ possible! You’re so welcome!! I’m really happy you enjoyed it! 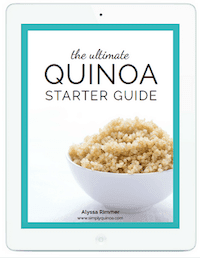 Love this, it’s seems super easy and a quick lunch! Wow, what a great idea. 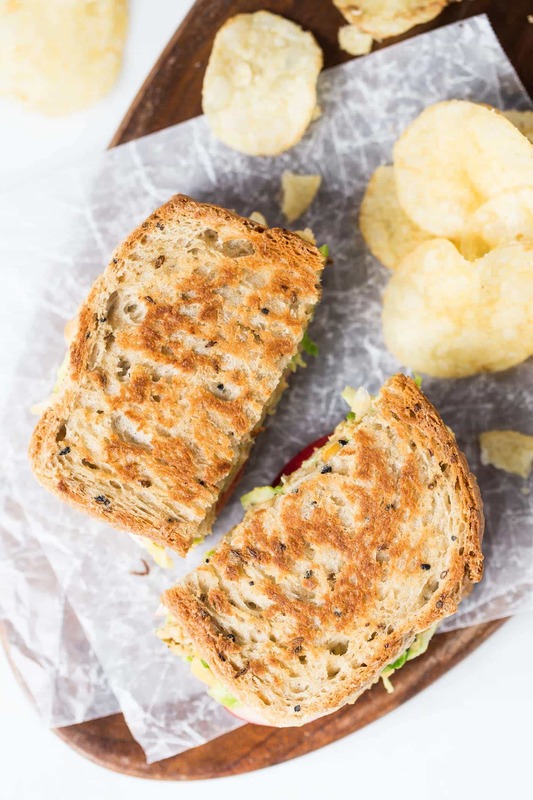 While I would typically opt for homemade hummus, I never thought to use it on a sandwich like this, will definitely try! It’s one of my FAVE sandwich spreads ever!